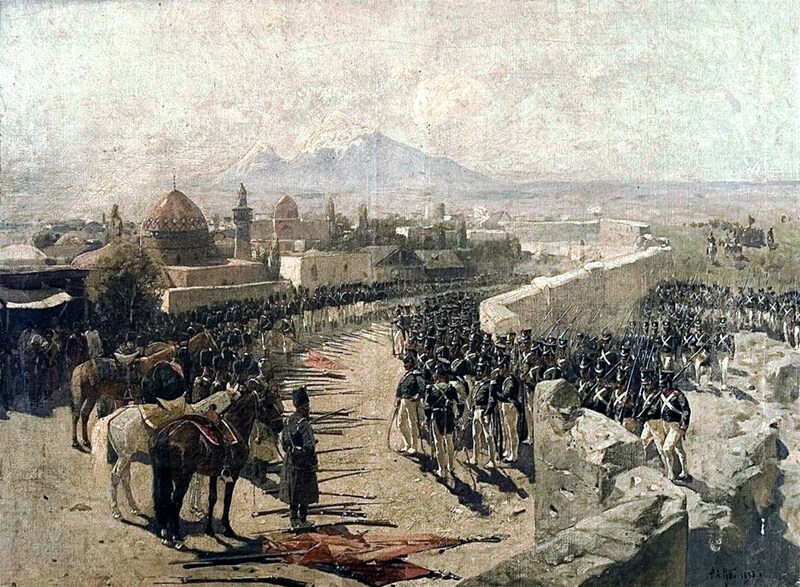 Seizure of Yerevan fortress by Russian troops in 1827 by Franz Roubaud. System of a Down (left), Cher (middle) and Charles Aznavour (right) are among most popular musicians of Armenian ancestry. ↑ Asatryan, Garnik; Arakelova, Victoria (Yerevan 2002). The Ethnic Minorities in Armenia. Part of the OSCE. Chisholm, Hugh, រៀ. (1911). 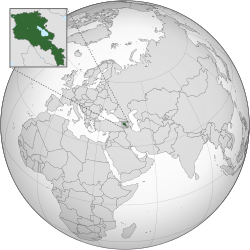 "Armenia". Encyclopædia Britannica (11th រ.រ.). Cambridge University Press.